Envoy was honored to provide the aircraft and volunteer crews to support two Honor Flights May 30-June 3, carrying veterans of World War II and the Korean conflict to Washington, D.C. to tour the memorials dedicated to their service. 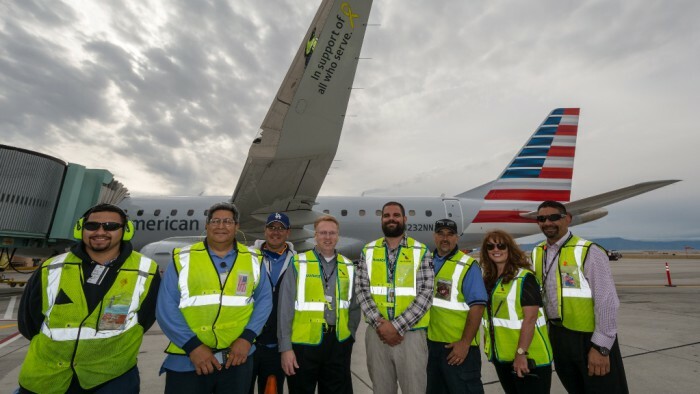 The charters were operated using one of Envoy’s newest Embraer 175 (E175) aircraft, decorated to honor our nation’s veterans with “In Support of All Who Serve” on each winglet. Honor Flight Network is a non-profit organization created solely to honor America’s veterans for all their sacrifices. The organization, along with partners like Envoy, transport our heroes to Washington, D.C. to visit and reflect at their memorials. Top priority is given to the senior veterans – World War II survivors, along with those other veterans who may be terminally ill.
« Captain Keira Visits Envoy!